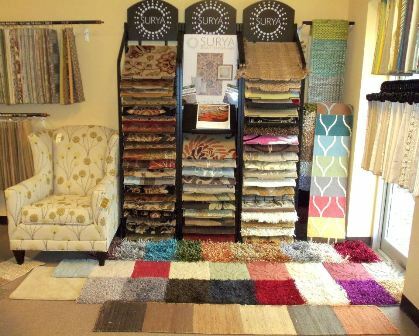 Use the "drop down" menu under the Products tab (above) to see all of the styles we carry on the showroom floor. 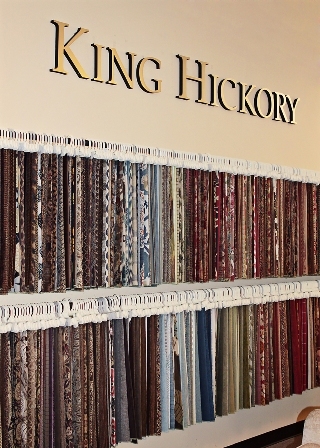 King Hickory Furniture Company is a family owned company. We began manufacturing fine upholstered furniture in 1958 in Hickory, North Carolina. 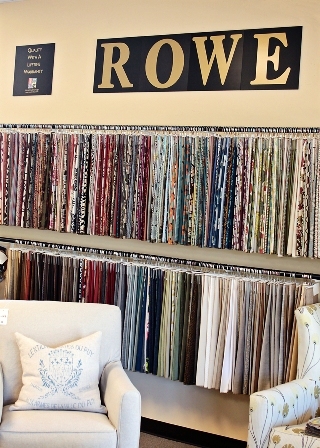 For over 50 years, we have proudly provided the highest quality, upholstered fabric and leather furniture to the consumer. The use of kiln-dried hardwoods with maple rails is the foundation of one of the best frames in the furniture business. Recently, we have incorporated the use of cad/cam technology to create intricate hardwood plywood frames. This technology allows our designers to create frame shapes that were not possible in the past. Our seat springing system is 8-way hand-tied, which is considered the benchmark for seating in all fine upholstery. The finest cushioning materials available are used to provide excellent comfort. Fine fabrics and leathers from all over the world are offered in a wide assortment so almost any look can be tailored to the customer's taste and satisfaction. In 1884, when Jerome Bolick and Sons Co. opened its doors as a wholesaler of “High Grade” Buggies, who could have dreamed that 120 years later, Southern Furniture Company of Conover, Inc. would be one of the South’s largest family held furniture manufacturing operations. 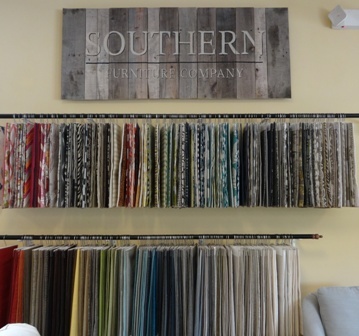 Our founder of Southern Furniture Co., Oscar W. Bolick Sr. began in 1926 by transitioning from the upholstery of buggy seats and backs to furniture upholstery. His son, Jerome W. Bolick maintains ownership of Southern Furniture Company, which now spans approximately 500,000 square feet of manufacturing space. Our rich history of building quality furniture began in 1972 in the rural town of Taylorsville, N.C.
Craftmaster was the vision of two native North Carolinians, Jack Stokes and Steve Lackey, who had a goal of building the finest quality upholstered furniture in their price range that is fashionable, yet affordable. The work ethic and pride in craftsmanship is alive and well here in the foothills of North Carolina and is evident in every piece of upholstery that is made at our factories. We have over 400,000 square feet of manufacturing and warehousing and are the third largest employer in Alexander County. 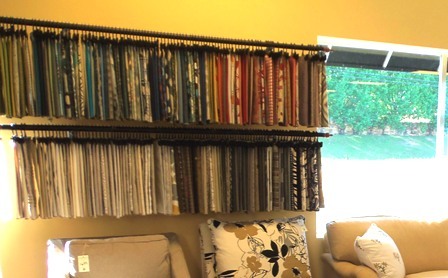 Custom Order is our strength - our consumers can select the style and fabric that best suits their decorating need and order it through any of our 1,000+ retail dealers around the world and have it in their homes in a short period of time. expertise into a yet unknown empire. In a small rented building the two covered all aspects of the business for quite some time. 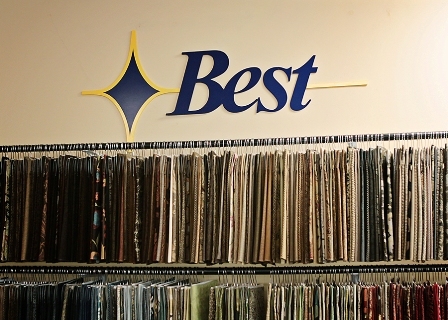 Over forty years later, Best Chairs has surpassed all expectations becoming Best Home Furnishings, a name adopted to further describe the entire product line. Family owned and operated, our facilities cover over 1,100,000 square feet in five locations with over 1,000 employees and is growing to become one of the largest furniture manufacturers in the world. In the Fall of 2008, industry veterans met and decided to build custom order stationary and motion furniture in America, reversing the trend of building home furnishings off shore. Keeping American craftsmen working was one of their primary goals. Rather than building furniture based on cost-cutting straight edged frames, Comfort Design’s sleek curves sustain the unique design integrity that defines them.In our motion furniture we use steel to tie our frames together, steel seat boxings to ensure the long life of our springing system and our mechanisms are made, not merely assembled, in the USA. At Robin Bruce, we proudly stand behind the quality of our products. Handcrafted in the USA, each piece is constructed from the best materials and guaranteed to be free from manufacturer defects for its lifetime. CUSHIONS: We offer several cushion options. All feature a high resiliency foam core. The Susan is our firmest. The Lisa feather down and regenerated polyester fiber blend, is "in the middle". The Katie has very dense blend of only feather & down. Barnett Furniture Store Trussville / Birmingham, AL. 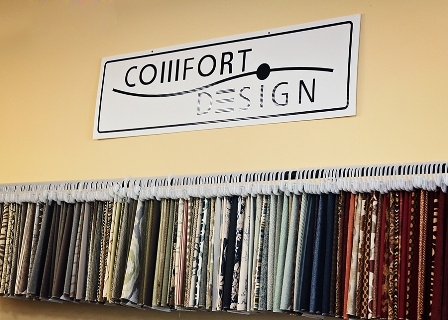 You Choose the Style: Sofa (Couch) Loveseat, Slipcover Sofa, Sectional, Slipcover Sectional, Recliner, Chair and Ottoman then you Choose the Fabric or Leather.